Before there was a town of San Marcos in the San Marcos Valley there was the town of Barham. The town was founded in 1883 by John Barham and his father James. It covered 640 acres around what is today the southeast corner of San Marcos Blvd. and Rancho Santa Fe Road. A post office opened in May of 1883. By 1884, the town included a blacksmith shop, feed store, and a weekly newspaper. John Barham operated a farm and also ran the feed store and worked to develop the town. 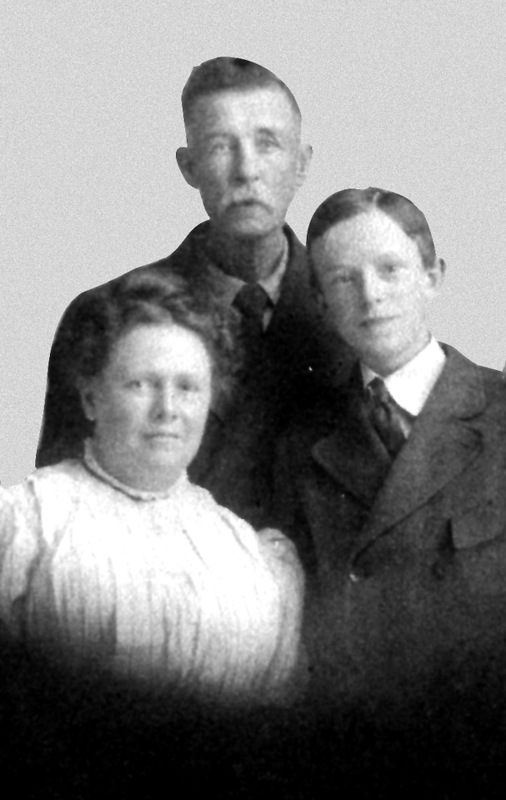 His father James, who had his own homestead, also served for a time as an overseer of the local road district for San Diego County. Another town leader was William Webster Borden. In 1884, he founded a weekly called Our Paper, which subsequently became The Plain Truth. Published every Saturday from “Barham, San Diego Co., California,” Borden’s paper combined local and countywide news and gossip with religious instruction and not a little humor. An issue early in the newspaper’s first year enthused that Barham was “on the boom,” reporting that “Mr. John Schmaker of Los Angeles (a carpenter by trade) has put up a house, plowed land and planted some crop since the first of May.” The article went on the report the coming of two other new residents who built houses and planted crops. Making a living, however, was difficult, with water scarce and transportation limited to a few wagon roads. The fortunes of town founder and namesake John Barham reflected those difficulties. Another factor affecting Barham’s fate involved the coming of the railroad. When it arrived in early 1888, the line ran two miles north of Barham, much closer to a townsite set up in 1887 by the San Marcos Development Company. The latter site became a stronger attraction for investors and new settlers than Barham. Early in 1888 Barham’s post office closed. In December of that year William Webster Borden (who’d also been the postmaster) changed the mailing address of his newspaper from Barham to San Marcos. In 1889 the Barham schoolhouse was moved to the San Marcos townsite. Borden himself would later move to Carlsbad. The town of Barham faded into history. Today two streets in the City of San Marcos, named Barham and Borden, are all that remain to recall the early settlement. Neither of them happens to be anywhere near the site of the old, lost town. Sources for this post included historic San Diego newspapers, the book San Marcos: A Brief History by William Carroll, and the archives of the San Marcos Historical Society. You can get weekly updates of San Diego History Seeker automatically in your email by clicking on the “Follow” button in the lower right corner of the blog page. You’ll then get an email asking you to confirm. Once you confirm you’ll be an active follower.